PREMIUM QUALITY FRACTIONATED COCONUT OIL – It is a fraction of the coconut oil from which almost all the long chain triglycerides are removed, thus leaving mainly the medium chain triglycerides and making it a great MCT oil. 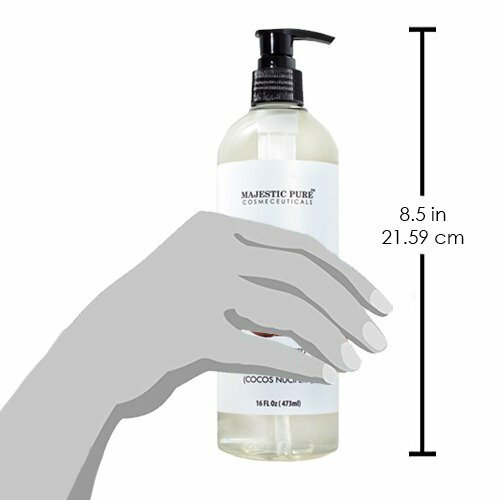 It is ODORLESS, CLEAR to YELLOW TINT and NO GREASY FEELINGS, does not stain and easily washes out of clothing and sheets. Does not become solid like regular coconut oil but keeps all the great properties. It has very long shelf life. Scientists have recently discovered a miraculous coconut oil called “Fractionated Coconut Oil”, and now it has been positioned as a No. 1 aromatherapy massage oil on the market. To make fractionated coconut oil, coconut is processed in a way that removes all the long chain fatty acids, leaving only the healthy medium chain fatty acids. This liquid form of coconut oil has miraculous skin benefits. It has high concentration of capric acid and caprylic acid, which give it an amazing amount of antioxidant and disinfecting properties. It’s an excellent moisturizer and is fantastic for soothing skin rashes, irritations and inflammation. It’s also known to help fight acne. Fractionated coconut oil is superb for soothing chapped lips, and skin conditions like eczema and psoriasis. It has a longer shelf life, is more stable and generally less is needed compared to the other types of coconut oil. Unlike normal coconut oil, fractionated coconut oil remains in a liquid state even at low temperatures. Majestic Pure fractionated coconut oil is Hexane free, Paraben free and Sulfate free. Our coconuts are growing in no-man islands in Malaysia and Indonesia and southern China. We hand pick only good quality of coconuts. For external use only. Avoid contact with eyes, keep out of the reach of children. If pregnant, consult with your health care provider before use. Rub a very small amount on the inside of your elbow area to test for any allergic reaction before use. Coconut oil has a detox effect which may come up in form of rashes but it should go away after 2-3 days of use. Do not use if the rashes persist for more than 3 days. Clean skin thoroughly before applying coconut oil to maximize absorption. Apply thin layer and massage well, reapply multiple thin layers if needed. Click the button at the top of this page to buy with confidence. GUARANTEE – PURCHASE RISK FREE TODAY with complete peace of mind, if you are not completely satisfied with Majestic Pure Fractionated Coconut Oil, contact us within 60 days and we will refund your entire purchase. This product is not intended to diagnose, mitigate, treat, cure or prevent any disease. Coconut oil really is a must have in any person’s daily care routine. There are so many benefits to using it and I have yet to find a single negative. It’s very versatile and can be used by itself or in combination with other products to create all kinds of delightful treats for your body and your well being. I love using the coconut oil to make healthy skin facial masks using ingredients you have right in your kitchen. It’s just one of those products you don’t know you are missing out on until you try it. Trust me, you will fall in love with this amazing product. This is a very good price for one of the best coconut oils on the market, so if you haven’t tried it yet, here is an excellent chance to discover how truly fantastic coconut oil can be for you. The best thing about this coconut oil is the smell. In our cold winters it gives you a little feeling of being in a warm climate. My daughter is constantly buying and always keeps more than one bottle in her place. She loves the feel after her shower and sais her skin is just so smooth. I love it when she visits and leaves a bottle in my bathroom. Then I can enjoy. I tend to buy my sisters stuff but its always a treat when my girl is forgetful. A very nice oil. Coconut oil is the best , I too use it after my shower and the feel it gives is so clean you just can’t beat it!! I love coconut oil i use it all the time every time i get out of the bath or shower. It makes your hair and skin feel really silky and soft afterwards it’s not that expensive and it’s really awesome and works great. My mom even uses it and she loves it as well. I just buy this, never used it, How every my loves its, so I want to share with you her thoughts on this product… This coconut oil is a really great addition to any beauty routine. 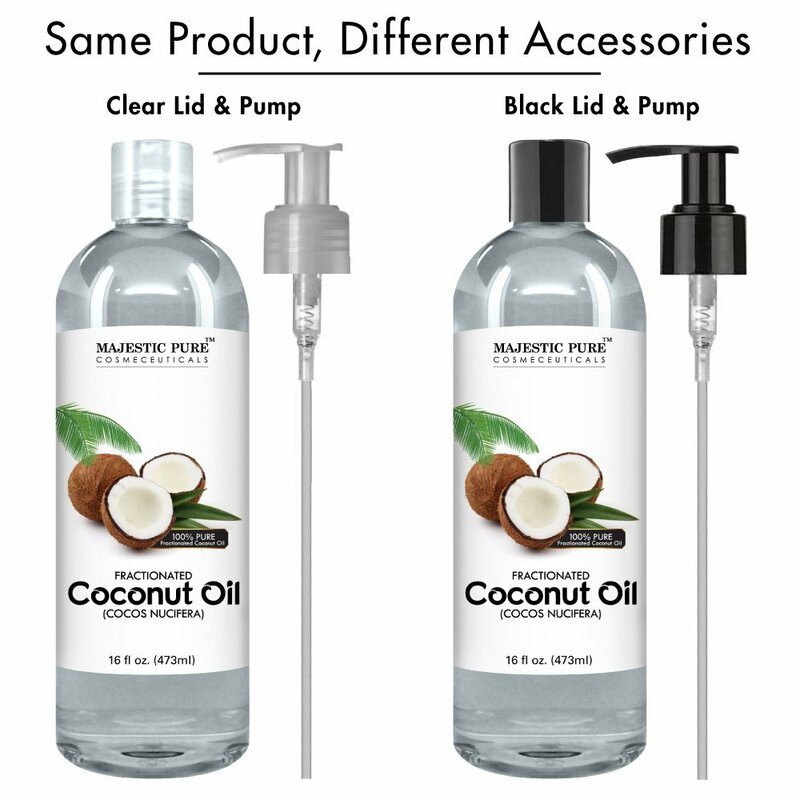 It is specifically geared towards being a beauty product, so there is no fuss trying to get it to the right consistency like you need to with kitchen friendly coconut oils. 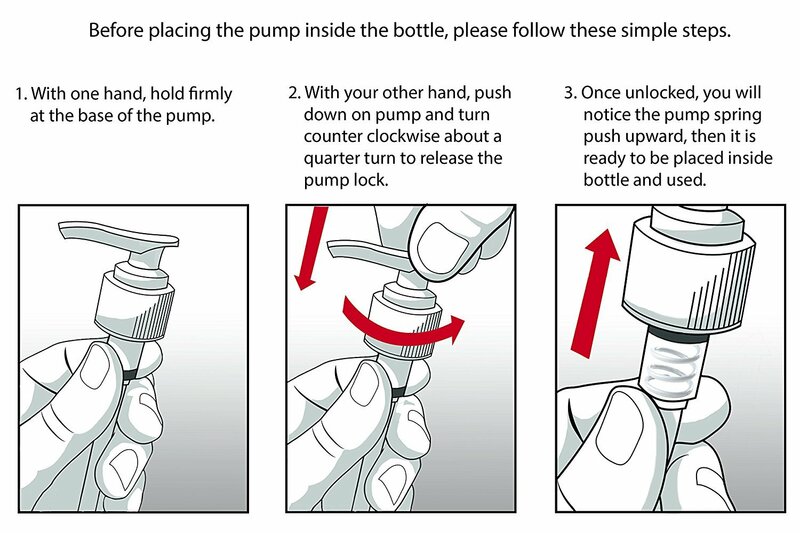 The pump top that comes with it makes it especially easy to use at any time, even in the shower. Works as a great natural moisturizer, and smells good. A must have. I really should prof read before I hit the submit button. Just to clarify “How every my loves its” should read as “However my wife loves its”. Sorry about that. katlynray8 has just earned 1076 MPS points from a SILVER chest! eadlyn_kerrington has just joined MyPointSaver. You can now view eadlyn_kerrington's profile page to send a message or friend request. allen_sb has just joined MyPointSaver. You can now view allen_sb's profile page to send a message or friend request. gtafrank has won the $3 Amazon.com Gift Card Sweepstakes (2019-04-21)! luckylucia1234567 has just joined MyPointSaver. You can now view luckylucia1234567's profile page to send a message or friend request. banatic has just earned 59,000 MPS points and 0.12 Tokens from a MEGA offer (survey #372)! johnny_hunter has just joined MyPointSaver. You can now view johnny_hunter's profile page to send a message or friend request. versatileer has won the $2 Amazon.com Gift Card Auction (2019-04-21)! chumoris_boil has just joined MyPointSaver. You can now view chumoris_boil's profile page to send a message or friend request. fredrick_yeboah has just joined MyPointSaver. You can now view fredrick_yeboah's profile page to send a message or friend request. katlynray8 has just earned 55 MPS points from a BRONZE chest! sebastian-brandin has just joined MyPointSaver. You can now view sebastian-brandin's profile page to send a message or friend request. elena_iorgo_atat has just joined MyPointSaver. You can now view elena_iorgo_atat's profile page to send a message or friend request. banatic has just earned 593 MPS points from a SILVER chest!